Broadway in Detroit will present six “S’Wonderful!” musicals from the 2017-2018 Broadway in Detroit Subscription Season, and I am beyond excited! Big news Hamilton is FINALLY coming to the D!!!! The Broadway in Detroit Subscription Season is sponsored by Chrysler, along with four extra blockbuster shows! As an extra bonus, 2017-18 Broadway In Detroit season ticket holders will have first access to Hamilton tickets when they renew their subscription for the 2018-19 series that will include Hamilton. Current Broadway In Detroit subscribers can renew their subscription for the 2017-18 series by visiting www.BroadwayInDetroit.com or by calling the Fisher Theatre at (313) 872-1000. New Subscription sales will begin April 1, 2017. The 2017-18 Broadway In Detroit Subscription Season opens with Love Never Dies, the spellbinding sequel to Andrew Lloyd Weber’s The Phantom of the Opera, at The Fisher Theatre, October 2017, followed by: An American in Paris, a new Tony Award ®-winning musical, at the Detroit Opera House, December 2017; The Bodyguard, starring Grammy ® Award-nominee and R&B superstar Deborah Cox, at The Fisher Theatre, January 2018; breath-taking smash hit Finding Neverland at The Fisher Theatre, February 2018; School of Rock, a hilarious high-octane new musical based on the hit film, at The Fisher Theatre, April 2018; and, On Your Feet!, the inspirational story of groundbreaking couple Emilio and Gloria Estefan, at The Fisher Theatre, May 2018. Please note that all show dates may be subject to change. 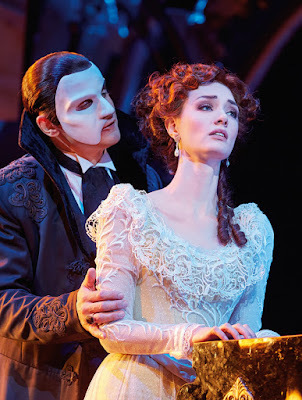 Love Never Dies, a story of boundless love, full of passion and drama, follows Lloyd Webber’s The Phantom of the Opera, one of the most successful musicals of all time, which has now been seen by more than 130 million people worldwide and is the winner of over 50 international awards. The ultimate love story continues in Love Never Dies. The year is 1907. It is 10 years after his disappearance from the Paris Opera House and the Phantom has escaped to a new life in New York where he lives amongst the screaming joy rides and freak shows of Coney Island. In this new, electrically charged world, he has finally found a place for his music to soar, but he has never stopped yearning for his one true love and musical protégée, Christine Daaé. An American in Paris is the new Tony Award ®-winning musical about an American soldier, a mysterious French girl, and an indomitable European city, each yearning for a new beginning in the aftermath of war. 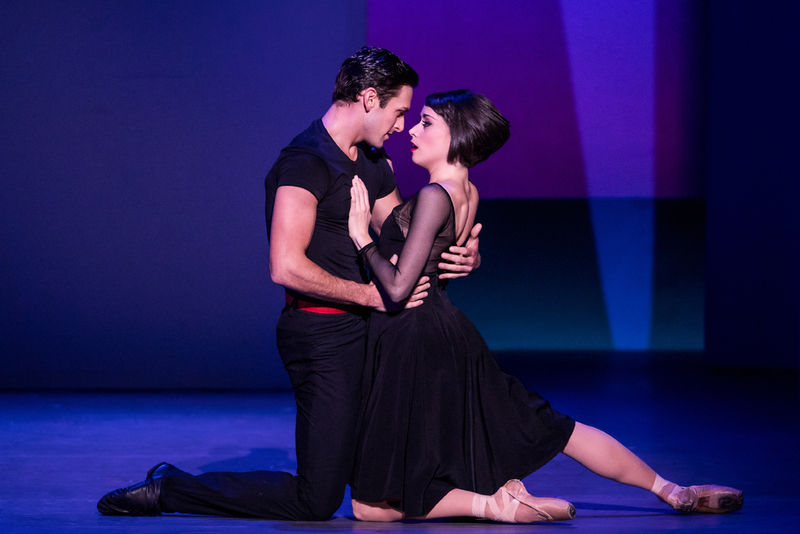 Acclaimed director/choreographer and 2015 Tony Award ®-winner Christopher Wheeldon brings the magic and romance of Paris into perfect harmony with unforgettable songs from George and Ira Gershwin in the show that earned more awards than any other musical in the 2015 season! 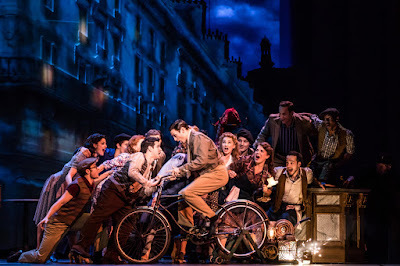 The New York Times raves “An American in Paris is a triumph! 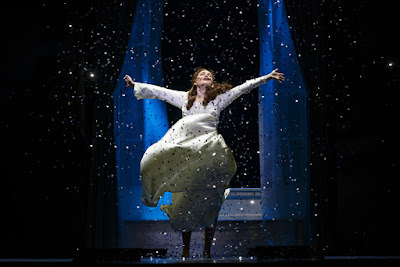 Pure joy!” and the Wall Street Journal declares, “Once you’ve seen it, you’ll find it hard to settle for less ever again.” Don’t miss this stunning Broadway hit when it appears in Detroit on its first national tour! As always, Broadway In Detroit offers extra shows off-subscription and the 2017-18 Season features Gobsmacked! at The Fisher Theatre, November 2017; The Color Purple at The Fisher Theatre, November 2017; the return of Les Misérables at The Fisher Theatre, February-March 2018; Cinderella at The Fisher Theatre, March 2018; and, Wicked at the Detroit Opera House, August 2018. 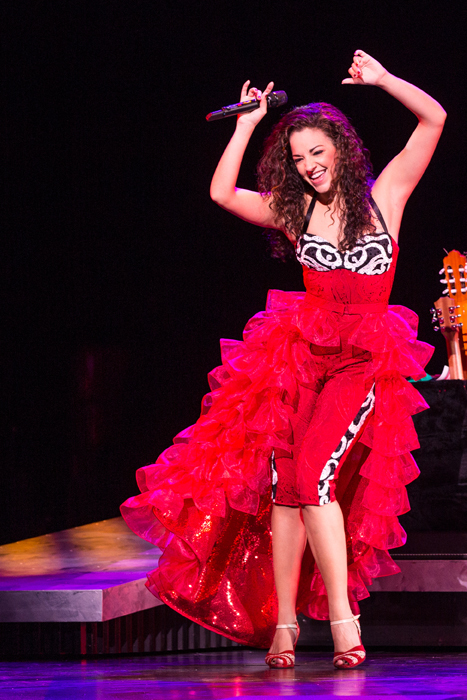 Season ticket subscribers will have the first opportunity to purchase these extra shows prior to public sale. 2017-18 Broadway In Detroit Subscription Season tickets are priced starting at $299 for all six shows. Current Broadway In Detroit subscribers can renew their subscription for the 2017-18 series by visiting www.BroadwayInDetroit.com or by calling the Fisher Theatre at (313) 872-1000. New Subscription sales will begin April 1, 2017. Broadway In Detroit subscribers get the best seats in the house, the same seats for each show, priority access to buy additional tickets for season shows and extra attractions, and full exchange privileges at no charge. Another added benefit for subscribers is the ability to post tickets for sale or forward to friends or clients up to two hours before show time via My Broadway In Detroit Ticket Exchange Program. Subscribers also never wait in line and lost tickets are replaced for free. Subscription prices include parking costs in The Fisher Theatre surface parking lot and deck. Reservation requests are being accepted now for groups of 12+ to 20+ (minimum varies depending on show) by emailing groups@broadwayindetroit.com and using the name of the show as your subject line, or by phone (313) 871-1132, Monday - Friday from 10:00 a.m. – 5:00 p.m. Individual tickets for all shows will go on sale at a later date.